Där vi äntligen kan höra denna uuuuuunderbara låt som instrumental i bra kvalitet!! Dock så släpps skivan bara som LP. From the point of view of hip-hop heads who focus on the beats, sometimes no matter how much you might like the rappers, you gotta have the instrumentals. 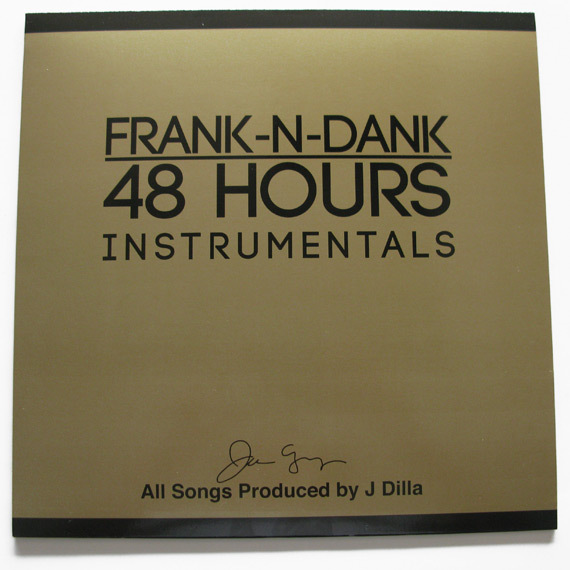 One of the truest cases of this was Frank N Dank’s 48 Hours, an album whose instrumental J Dilla production eluded us for until now. Here’s the story: It was 2002. Signed to a solo deal with MCA, whose roster at the time included Common and The Roots, J Dilla spearheaded a project for two of the most unlikely major label emcees: Frank N Dank. In retrospect it’s not hard to understand why the label shelved and eventually dropped the project. What is remarkable is the pure quality of the beats produced by J Dilla, and the fact that he chose to create the album entirely without samples – a creative decision by the producer himself, not the corporate label heads. An un-mastered and poorly packaged 48 Hours CD made its way into the marketplace in the mid 2000’s, to the disappointment of many. It may have taken 10 years for these beats to finally see a proper release, but better late than never.